You might have heard of my Facebook page called 'All Things Jane Austen', or you might even follow it. If not, it’s totally okay. There are dozens of pages and blogs around - it’s hard to keep up. It just so happens that something that started as a very personal endeavour - to organise an overwhelming amount of information about Jane Austen and to better understand her world - came to be a virtual meeting space where Janeites from all over the world could share their projects, dreams, hopes, likes, and dislikes. I feel blessed and honored to be part of this massive group of fans - a Janeite - in this day and time. I have witnessed and participated in interactions across the globe that would not be possible were it not for the complete change in the digital landscape of the Austen community online. 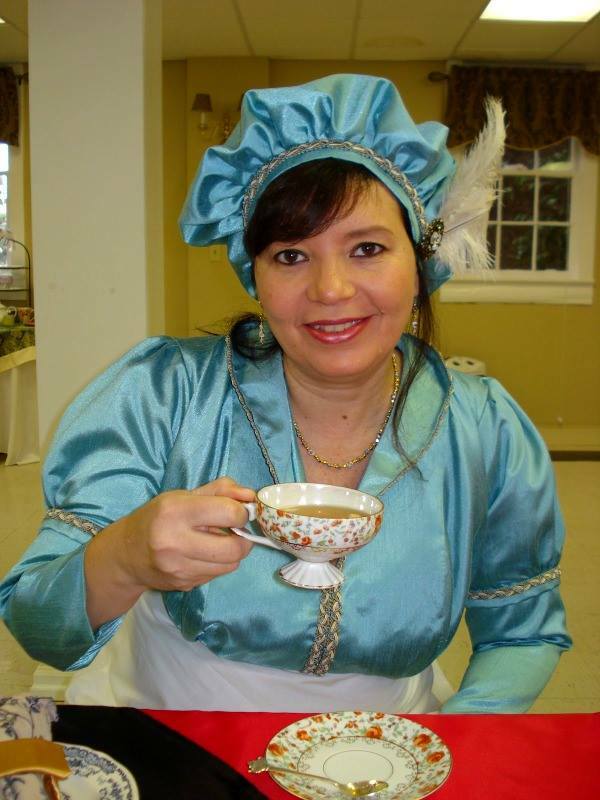 When I joined JASNA – the Jane Austen Society of North America - in 2011 we didn’t even talk about Jane Austen and social media. We talked about her novels and characters. We had monthly meetings and social functions, like tea parties, in her honour. We had publications and newsletters (and still do) and there were online groups, to be sure, but not a lot of interaction at first. I suggested starting a Facebook group to the Georgia chapter so we could share links with interesting articles and even have some discussions in between meetings. It was a welcome idea. Soon enough, I started my own page as well and came across other online groups not only from JASNA but from around the world. I got used to seeing societies pop up from countries everywhere: France, Italy, Brazil, Singapore, Hungary, Mexico, Australia, and a few years later, a very active group from Pakistan. There were also illustrators, fan fiction authors, milliners, and musicians all using their craft to share their love for Jane and to honour her – and they did that through social media. They had an array of social media accounts including Instagram, Twitter, Tumblr, YouTube channels, and sometimes all of the above. Jane’s network spread like a web around the globe through the worldwide…web! That brings me to one of the biggest Jane Austen events in social media history - a 2012 web series called The Lizzie Bennet Diaries. This adaptation of Pride & Prejudice ended up snatching an Emmy Award for Outstanding Creative Achievement in Interactive Media and the International Academy of Web Television Awards for Best Interactive/Social Media Experience. Bernie Su was the mastermind behind the series and, together with a small group of very clever people, he created a phenomenon that spread across different kinds of social media, giving the term ‘transmedia’ a whole new meaning. Telling the story primarily on YouTube, they broke the boundaries of different platforms by having the viewers follow up the story on Instagram, Tumblr, and Facebook simultaneously, as if it was a real story happening in real time. I was lucky enough to follow along when it was first aired - even if you watch the series now (completely worth it!) it will not have the same impact. The episodes were uploaded twice a week (every Monday and Thursday) and lasted from 2-8 minutes each. In between these vlogs – told in first person by the eponymous Lizzie Bennet – you could follow Darcy and Lizzie interacting over the weekend on Instagram, Tumblr, and on their personal (fake) Facebook accounts. There was even a nod to the thespian community via impersonations of other characters by the main actress playing Lizzie. She would don a few props, create an accent, and change character like you do in the theatre. It was a massive feat that this very smart group of people made look easy. Fan pages were created to help the viewers keep up with all the social media interaction - if you were not particularly tech-savvy it could get quite overwhelming. — Knight, C (2017). Jane & Me: My Austen Heritage. The Greyfriars Group. I had visited the church the same day that she told me the story, having lamented not being able to put holly in Sir Richard’s hand. Unbeknownst to her, the next day I talked to the lovely volunteers of the Jane Austen’s House Museum, and they gave me a handful of holly to help Caroline’s wish come true. I thought it would be a nice way, however small, to say thanks for her kindness to me. I was all dressed up in a Regency outfit - quite improvised, but making me feel the part – and I shamelessly snapped a picture of me in front of the statue with the holly in place and sent it to her. She was so happy she said it brought tears to her eyes. It was quite magical being part of a family tradition. The statue dates from before Jane’s time so we shared a laugh imagining Jane doing something similar. Is that some Jane magic or what! Sir Richard, after a visit from Rita! Another personal highlight for me was being invited to speak at a Jane Austen Conference at the National Library of Portugal in a room full of Jane Austen experts. This came about all because of my Facebook page - having more than 40,000 followers from over 40 countries across the world apparently makes me an expert in her fandom! Social media has helped create a living and breathing network of Jane Austen fans and has inspired new academic careers and artistic endeavors so large and rich that I would need another thousand words to do them justice. Thanks to the digital world, Jane Austen keeps changing lives of people that are now just a click away from her genius, her wit, her sense of humour, her amazing characters, and all she accomplished in 200 years. All that, plus her discreet and powerful pioneer spirit - that no corset could contain and that she wielded like a weapon - is out there for anyone to discover thanks to this amazing thing called the internet. I have made friends for life thanks to the digital power Jane Austen generates and that has made it possible for me to help change the world a little bit by giving all my support to the book Austenistan, edited by Laaleen Sukhera, that explores the circumstances of women in Pakistan – sometimes not so very different from the world Jane Austen lived in. For all that, I’m extremely grateful. I feel very blessed and extremely alive knowing that even though I do not have the power to fly around the world, my page does. The amazing digital revolution that is social media has taken me far beyond my wildest dreams!